a great saab replacement ! a quirky supercar ! Alfa Romeo 1 Members Like This Post! 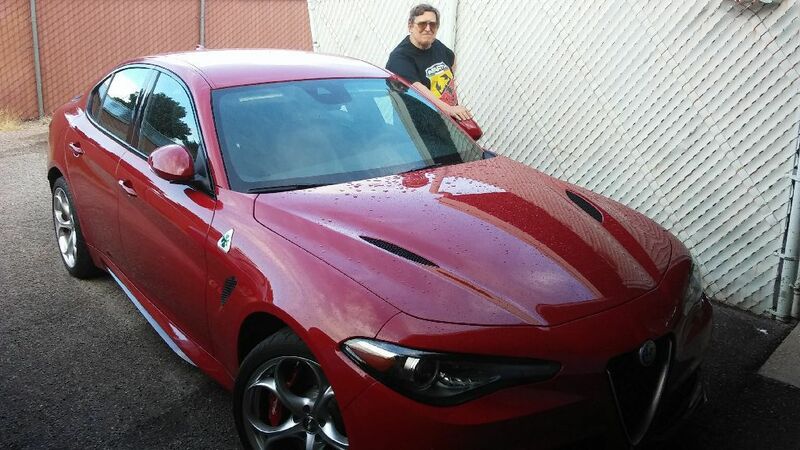 Ok so my elder brother shows up w/ a new 2018 Alfa Romeo guilia Quadrofoglio Which is a fantastic car! car of the year, by several magazines etc so of course, I drive it and it IS awesome! Sorry to admit no Saab was ever this good ! 505 HP the motor is made by Ferrari ( it is a Twin-turbocharged V-6 being 3/4 of a Ferrari V-8 ! ) OMG fast ! , yet tractable! It has the BEST steering of any car I have ever driven ( 2 turn lock to lock ! )- yet not twitchy !~ the brakes are awesome too ( brake by wire ) and the adjustable radar adaptive cruise control will keep you out of the back end of any other vehicle! - even stop the car if you have a senior moment ! and it has 4 doors! never knew a sedan could be this good! We have a bad case of the want this! he also got a 100,000 warranty and the dealers are taking $10-12 k off MSRP ( they were selling for $11K over MSRP a year ago ! ) this car beats the BMW,Audi,Acura,Lexus MB AMG, Volvo, etc I'm going to go test drive the 4 cyl ! ( turbo ) we could throw a tune on it like a Saab ! ?? ->Posting last edited on Fri, 1 Feb 2019 13:29:23.